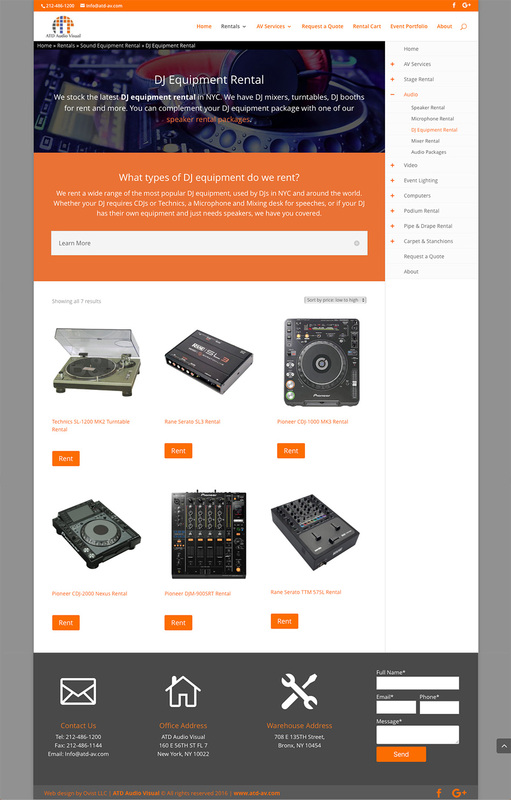 ATD Audio Visual is a full service AV rentals and events production company in NYC. 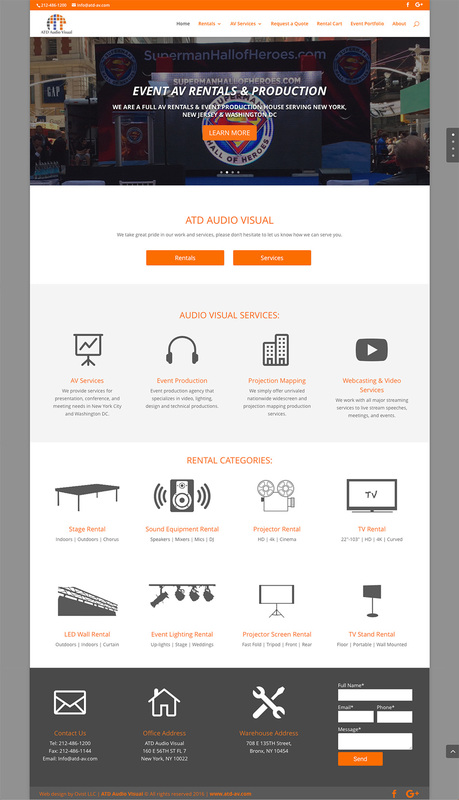 ATD-AV needs design consulting for their new site. 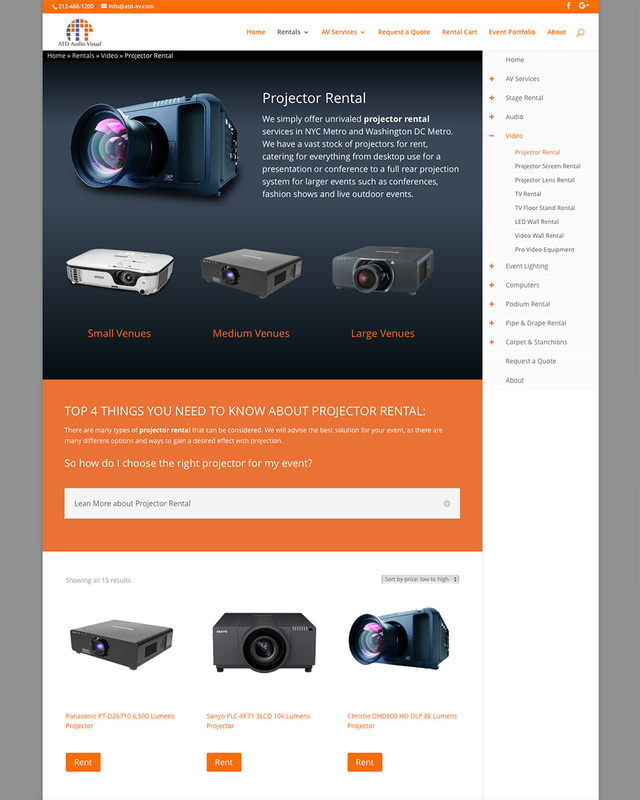 We created landing pages for their rental product categories as well as site wide layout updates and extensive CSS customization. 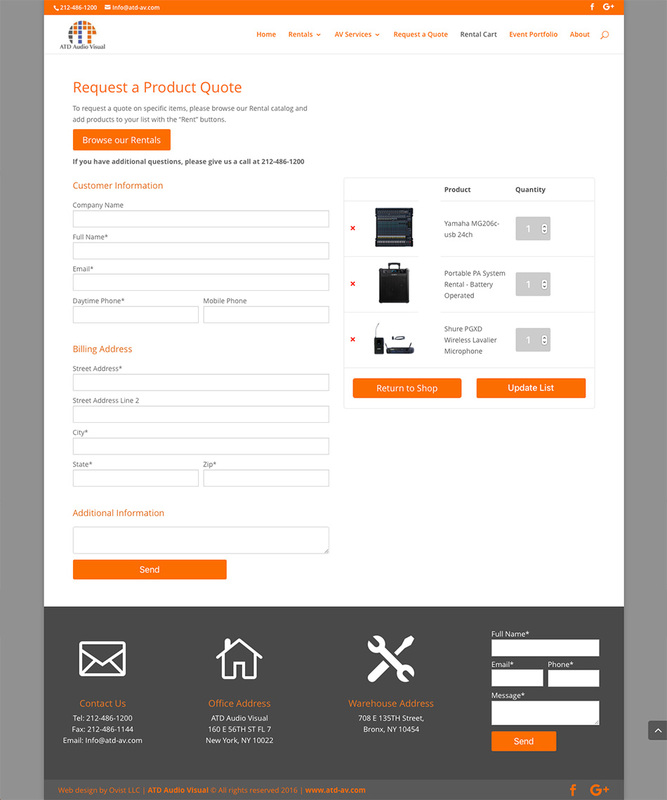 We also set them up with a quote system through WooCommerce for their rental business.